Private practice and in-house counsel are two different worlds, according to Judd Hartman, who made partner at a successful law firm less than a decade into his career, but decided to follow his passion for business and expand his expertise. 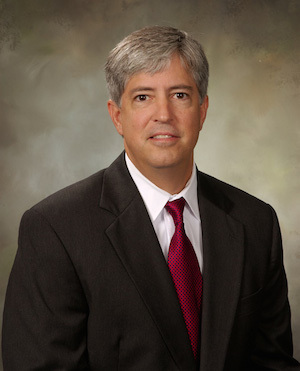 He first served as vice president of legal affairs for Anker Coal Group, Inc., before taking on the role of general counsel with Pharmaceutical Product Development, in 2001. Here, Hartman explains how he earned a seat at the table. You started your career in private practice. What made you decide to go in-house? Judd Hartman: I was in private practice for about eight years, and it was a hard choice—the firm’s practice was growing nicely, and I was doing a fair amount of M&A work for a client in the energy industry. The work was interesting and challenging, but I felt like I was a step or two away from where the action was, and I wanted to get closer to it and be part of the management team that was evaluating and implementing business strategy. At the time I made my career change, it was my perception that in-house counsel just didn’t provide legal advice, but had a much broader role and more direct involvement in the business than you could get in private practice. This is what I was looking for, and I’ve been fortunate to have had those opportunities with the two companies for whom I’ve served as in-house counsel. What advice do you have for others who are thinking about making the transition to in-house counsel? Hartman: I think it’s important to think hard about what it is you want out of your career—not just your legal career, but your entire career over the long haul. There are an awful lot of lawyers who love the private practice of law, and I certainly enjoyed it, but for those who want to be part of a management team and actively participate in the business itself, an in-house position is a great alternative. With the right organization, it can provide a lot of opportunities that private practice can’t. Another important consideration is the fact that you will only have one client, and the variety of matters that you may have the chance to work on might be narrower than what private practice can offer. A lot of lawyers in private practice really enjoy the diversity of their practice, working with different clients across a number of industries and on a wide variety of matters and issues. When you’re in-house, you will only have one client, and depending on the company you work for, you may have a narrower range of matters to work on. For me, while I miss working in the energy industry and old friends from private practice, my in-house experience has afforded me a lot diversity and professional challenge. Does that lighten the workload? Hartman: I think there’s a perception that being in-house is not as demanding as private practice. The demands are certainly different, but if you think you’re going to work less or the challenges will be less demanding, I don’t think you will find that to be true, particularly if you join an organization that is growing and expanding its business. How have you been able to get close to business strategy decisions? Hartman: You have to learn the business and understand exactly what makes it tick, and then try to develop business judgment over time. You certainly learn a lot in your in-house role, but it takes more than that. For me, I spent a lot of time reading and studying things that weren’t necessarily related to my role as general counsel. I also spent time talking to our business leaders and picking their brains so I could better understand things, how they fit together, and how they translated into our financial statements. I have been very fortunate to work with people who invested their time in me, helping me learn and helping me to understand their businesses, the key risks, and the primary drivers of revenue and earnings growth. Without that, I wouldn’t have had the professional growth opportunities that I’ve had or the chance to get involved in strategic decisions and other aspects of the business outside of the legal function. What was the biggest challenge you faced in getting that education and learning the business on a deeper level? Hartman: I would say for me it was managing both the demands of my job as well as trying to learn and keep up in an extremely fast-paced environment. When I joined PPD, the company was growing significantly, both organically and inorganically, and when you combine that with an experienced management team, a highly competitive industry, and a heavily regulated professional services business, it was a very challenging situation. How does PPD plan to improve its competitive positioning? Hartman: The company is making targeted investments in people, process, and technology across its core businesses to further differentiate itself and improve its competitive posture. As general counsel, what role do you play in executing that strategy? Hartman: It depends on the strategy. In some cases, I am directly involved in the execution; for others I may be involved in the decision, but don’t play a role in the day-to-day rollout. For example, if a decision has been made to acquire versus build, I’m typically involved from the start of the process, evaluating acquisition targets, through the acquisition process, and in some cases I get involved in post-acquisition integration activities. In other cases, such as technology or process improvements, I will participate in the evaluation of the issue at hand, but may not be involved in the execution itself.